No house is ever accomplished without the addition of furniture. It could be utterly impossible to reside in a place that facilitates no furniture in its premises. Furniture carved with excellent craftsmanship can make your house look cultured and sophisticated. But, furniture becomes susceptible to damage and dents over the course of time—which could make them look dreary. Your furniture could be refurbished back to its former state with the help of a few finishing touches. Solano Upholstery & Refinishing is regarded nationwide for providing superior refinishing in West Chester PA. We have been operating our business for more than four decades, and we have amassed a broad range of clients since our inauguration. We provide upscale and contemporary refinishing services to our clients based in Philadelphia, Delaware, and New Jersey. Solano Upholstery & Refinishing primarily deals in providing detail-oriented re-upholstery, custom pillows, cushions, and painting headboards to our clients but, we have expanded our services portfolio to provide refinishing services to our clients. 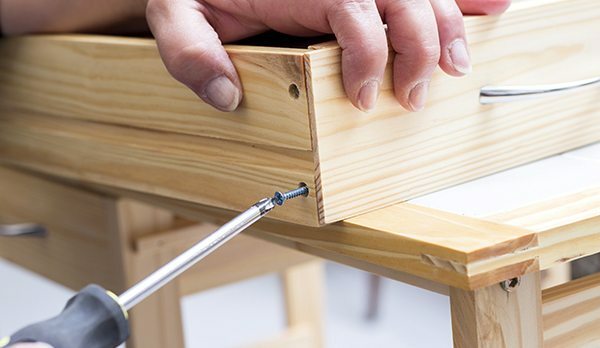 We understand the significance of refinishing to refurbish the look of your furniture, therefore; we utilize the most advanced tools and first-class paints and finishes to make your furniture look absolutely pristine. For providing refinishing in Delaware—our professional and trained crew arrives fully-equipped at the given location, and they conduct a session of structured queries before they begin with their tasks. To refinish the surface of your furniture, our experts strip bare your furniture to apply color and glaze-like finish to give your furniture a new look. If the severity of your furniture is extreme, we utilize a solid yet an elegant lacquer or customized colors to upgrade the look of your furniture. If you are keen on availing our services—you can call us at 215-625-8888 without any hesitations, and we will attend to your queries regarding the repair or refinishing of your furniture. Or, you can simply fill out of the form given on our website, and a member of our team will respond promptly.